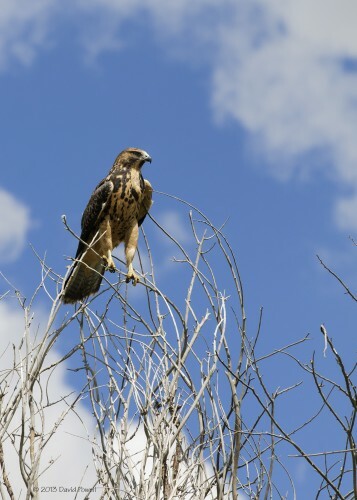 Fall Raptor Migration is in Full Swing /Hawks Aloft Inc.
We’ve been getting calls this week about large flocks of hawks soaring overhead over the river, the bosque and the Middle Rio Grande valley. They are Swainson’s Hawks that migrate in large groups called ‘kettles’. They have the longest migration of any North American hawk, traveling all the way to Argentina, where they are called Locust Hawks. Their bodies are streamlined and they have long, slim wings — a bird built for long-distance flight. 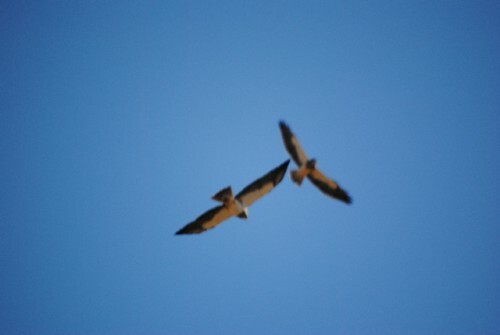 Juvenile Swainson’s Hawks leave on migration before their parents. Traveling in large kettles helps young ones learn the way. By the time they reach Central America, as many as 100,000 have been seen soaring together at one time. Kettle of Swainson’s Hawk. Photo be Georgia Santa-Maria. Swainson’s Hawk are distinctive. They are the only N.A. hawk that has dark flight feathers and a light leading edge to the wing. Watch for them soaring high above the Middle Rio Grande Valley this week, and also in eastern New Mexico, and Texas. Their migration will take up to two months each way. It’s a 7,000 mile, one-way journey. 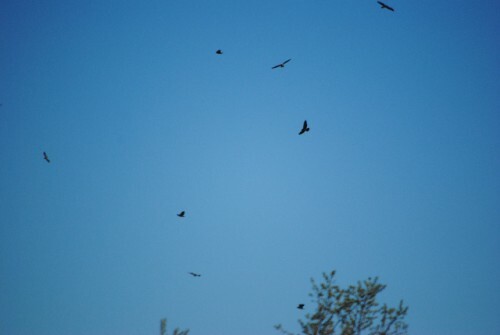 Keep an eye out for many raptors soaring overehead, on their way south to their wintering grounds.